Why Would a student choose Clonlara? Small class size. Friendly, inclusive environment. Vibrant and flexible multi-age learning community. Quality of staff time and attention. Frequent field trips. Holistic approach to education: We do not limit our attention and instruction only to academic needs. We accommodate many varieties of learning and are particularly adept with a hands-on approach. What makes Clonlara unique among private schools? The curriculum does not precede knowing the students: it is shaped to the needs of the learners who enroll. And there is more time spent exploring our local environment than any other school in the area! Our students range from age five to high school graduation, traditionally a K-12 program. Students are grouped according to age: Our Youngers program is comprised of students 5-10 years old; our Middles Program is students who range from 10 to 14 years old; and our Olders Program (our high school) is students age 15-18 years old. Currently, we have four teachers. One for the Youngers program, one for the Middles program and two for the Olders program. Curriculum planning begins with assessing every learner in the building. This is done on an on-going basis, including getting to know the student during the enrollment process. Once we know skills, challenges and interests of our students, we can create a class schedule based on that information. It includes the core academic areas: math, language arts, science and social studies. It also reaches beyond fundamental knowledge and skills to problem solving; critical thinking; independent study work; cultural literacy, research, community service and play. Field trips are also an important part of the Clonlara curriculum: every student gets to know the Ann Arbor community and explore its recreational, academic and cultural resources. Since you don’t have a separate room for every grade, how are classes divided? By age. Students of the same age are grouped together as Youngers, Middles and Olders for their home base. They may, however, share the classroom with other students – the classes students take are dependent on the skills they need to develop. This may mean a student is 10 years old and studying Algebra I – it may mean they are 15 years old and studying Pre-Algebra. Activities that involve the whole school are regularly schedule we believe that students have a lot to teach each other. Does Clonlara give grades and standardized tests? Grades are given in individual classes in the Olders program and are reported at the end of each semester. Each student, no matter the program, receives a progress report (written evaluation) at the end of each quarter. Standardized tests are always available to you and we will make sure your student takes one or more, if you request it. The Terra Nova (formerly the California Achievement Test) is available every May. The PSAT, SAT and ACT are given at local Ann Arbor high schools several times a year. Students who are applying to college need to take one of the required exams. What kind of parental involvement do you have? PSS (Parent, Student and Staff) meet the third Tuesday on a bi-monthly basis. Teachers, staff, parents and students all attend. School business, plans, dreams and needs populate every agenda. Since you are a private school and don’t require certification for your teaching staff, what are the required qualification for teachers? There are many requirements, but what carries the most weight is experience in non-traditional educational settings, love of kids, love of subject matter and the ability to be flexible and creative continuously. Clonlara has teachers who are well rounded in both the philosophy and practicality of working with children and parents in the learning environment that Clonlara provides. Is Clonlara Campus School Accredited? Clonlara School is proud to be accredited by the following organizations: Accreditation International (Ai), Middles States Association of Colleges and School (MSA-CESS), and the National Council for Private School Accreditation (NCPSA). Can my son or daughter earn a high school diploma from Clonlara and is it recognized by colleges? Students are required to earn 22 credits. Students will earn a private school diploma. This includes a distribution of the core academic areas, electives, and community service. Students who graduate from Clonlara have gone to a host of colleges and universities, both public and private. School starts at 9:00 a.m. and ends at 3:30 p.m. Does Clonlara have a school nurse? No. Each head teacher is responsible for the health and safety of their students. Families fill out a medical protocol card upon enrollment and a school response team is created for each student requiring extra support. Is there before and after-school care? No. We review the situation on a case by case basis. Older students are allowed to be in the building before and after-school, as long as they are being productive; other students we consider the circumstances. Adults are always present. Children may play unsupervised on the grounds, although adults will frequently be outside when the children are and they can see the playground from the school windows. High school students may leave the campus for lunch with prior approval from parents and as long as they are in good standing. What about smoking, drinking and drugs? Clonlara is a drug, tobacco and alcohol free property. We also have a drug prevention program that emphasizes prevention, not punishment. What rules do the student have to follow? A.S. Neill (Summerhill) says throughout his writing that ‘freedom should not be confused with license or permissiveness.’ A student at Clonlara is free to choose and structure many of his/her own activities; however, s/he is not “free” to injure another child, either physically or emotionally. Clonlara staff is directly involved in every incident that requires conflict resolution. Honesty, discussion, accountability and reparations (where appropriate) are encouraged as means for solving problems. Children who can not control violent, dangerous or disparaging behavior cannot be part of the Clonlara community. What kinds of students does Clonlara’s program serve? How well are Clonlara students equipped to succeed? Clonlara students learn to make and carry out an educational plan independently, with guidance from their families and their advisor. They benefit from the varied experiences and active learning situations they are able to have as Clonlara students. When they leave Clonlara School, they will have learned how to take control of their own education and, in the process, they will have learned how to learn. Our graduates have been accepted to many prestigious colleges and universities, technical and vocational programs, and a wide variety of employers. We do not have a prescribed curriculum, although advisors provide resource recommendations. This enables each student and family to develop an individualized plan. Our advisors help students and their families design a curriculum that is customized to meet their goals, while allowing them the flexibility and time to pursue their passions. We believe that creating a curriculum should be a good fit with the student’s learning style, interests, and goals. Students may want to move quickly through a subject area, or work in great depth in the subject; with Clonlara, they can make as much progress as they are able to, without being tied to a grade-level syllabus. Students may need to take their time in a subject area and move at a slower pace, or go off on tangents; there is no barrier to doing this, either. Students can travel, immerse themselves in a subject they care about, or devote themselves seriously to performing arts, athletics and entrepreneurship, among other pursuits, while still moving forward on their educational path. High school students can earn credit toward their diploma for doing what they love to do. We believe learning happens in many different ways. Our students learn through performances, visiting museums, or interviewing community members. They can study as apprentices, take an online course, use books, websites, lectures, audio and video materials, and design or write their own creations. Once enrolled, a family is assigned to an advisor. Students and parents work closely with their Clonlara advisor to map out an educational plan that fits their student’s interests, needs, and aspirations. Topics for discussion may be choice of subjects to be learned, how to approach learning, materials and resources to be used, and ways to ensure learning is achieved and documented. We ask parents of elementary students to submit semi-annual progress reports based on their assessment of their child’s learning. Advisors review these reports and provide feedback and suggestions as needed. At the high school level, Clonlara uses the Carnegie Unit, a standard used by many public and private schools, to determine credit. A student earns 0.5 credit for completing 90 hours of learning activities. Once they have conducted and documented learning activities, high school students submit Credit Request Forms for advisor review. Students and their parent or other mentor then each evaluate and issue a grade for the learning that has occurred. 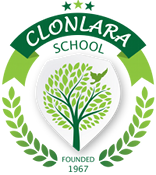 Clonlara School maintains official student records and transcripts. We also issue an accredited diploma to students who meet our high school graduation requirements. We provide official documentation of student records to other schools, colleges and employers. Clonlara School is proud to be accredited by the following organizations: Accreditation International (Ai), Middle States Association of Colleges and Schools (MSA-CESS), and the National Council for Private School Accreditation (NCPSA). What Are Clonlara’s High School Graduation Requirements? We require 22 academic credits – 9 of which are electives. Students also must complete community service hours, a portfolio, an exit exam and a reading list. Clonlara’s Off-Campus Program serves K-12 students across the United States and in countries around the world. There were students from the U.S. and 41 other countries enrolled in the 2016-17 school year. We also operate a private K-12 campus school that students attend daily in Ann Arbor, Michigan. How long has there been a Clonlara School? Clonlara School was founded in 1967 by Pat Montgomery, PhD, with the goal of empowering students to participate in the design and application of their own educations. The Off-Campus Program has been in existence since 1979. Our mission is to provide programs and services that that recognize and support a learner’s curiosity, strengths, and interests as the foundation of his or her educational experience. The heart of Clonlara’s philosophy is that learning happens in a variety of ways and that many activities and life experiences can be considered as integral to a student’s education. Clonlara School is a non-profit, mission-based organization and we strive to keep our tuition and fees reasonably priced. How Much Will Educational Materials Cost? Costs vary according to each student’s interests, learning style and, of course, family means. Our Advisors work closely with you and make resource recommendations based on your student and your budget. There are many free educational resources available through libraries, museums and websites! Any time! However, our academic year runs from September to June. If you want to enroll mid-year, please call us at (734) 769-4511 and speak with an Enrollment Associate to go over the details first. What is the Clonlara School Online Program? It is a quality online curriculum for students in grades 5 – 12 with access to a teacher who provides ongoing feedback to student work and is available to answer questions. Clonlara’s Online Program also includes enrollment in our Off-Campus Program which provides an academic Advisor for each student. How much teacher interaction will my son/daughter have? Teacher interaction varies by course and student needs. Teachers review the work as students complete lessons and they make comments and answer questions. What are the course offerings? There are 82 high school level courses and 26 middle school level courses with detailed descriptions in our Middle School and High School course catalogs. Additionally, with the guidance and counseling of a Off-Campus Program Advisor, students will create a course of their own design. Tuition and fees for enrollment in the Online Program range from $670 – $4,100 depending on the grade level and number of courses. See Tuition & Fees for more details. Can I just take one course? Yes, it is possible to take just one course. Students who are fully enrolled in one of our Off-Campus Program or Campus School options can take individual courses for an additional fee. Please contact our Enrollment Associate for details about individual course enrollment: 734-769-4511 or enrollment@clonlara.org. What happens if I try it and I do not like it? New full time or one semester students may receive a 75% refund within 30 days of course activation. Note that registration and license fees are not refundable. See our Online Program Refund Policy for more information. There is no refund after 30 days, but self-motivated students who want to abandon an online course will have the option of developing their own replacement curriculum and completing the course as an independent study. What kind of student does well in Clonlara's Online Program? Students who want to take charge of their own educations, students who like to read and want to work with a structured program will appreciate the “ready-to-go” curriculum materials and links to interesting websites. Students can progress at their own pace, and study anywhere they are in the world, at any time of the day or night. Clonlara School is a fully accredited private school that provides a fully accredited transcript for credits earned. Can credits I earned at another school count toward my diploma? Yes, Clonlara will transfer credits from another accredited school and count them toward earning a high school diploma. Clonlara graduation requirements will need to be fulfilled before the diploma is granted. An Enrollment Associate is ready to help you! Please call (734) 769-4511.